The wineries of the eastern townships are the epicenter of Quebec’s viticulture. Thanks to excellent soil and several micro-climates created by the lakes and mountains, the vineyards of Brome-Missisquoi benefit from conditions that are favorable for viticulture. Kava Tours will guide your discovery of these vineyards with a guided tour from Bromont (30 minutes from Sutton) or with a self-guided tour to 3 carefully selected wineries in the area of Dunham. At each one of them, enjoy exclusive tours and tastings with winemakers. The guided tour is available almost all year while the self guided excursion is available only in the summer. Available on Saturdays only, from May to November. Review tour details and availability here. We will make the reservation for you when you reserve this package. Tour available on Saturdays from February to November and on Sundays from June 17th to November 4th. Other Sundays could become available. Summer tour details and availability available here. Winter tour details available here. We will reserve the tour for you when you reserve the package. The per person rates are based on a double occupancy, upon days and room categories. The base price corresponds to a standard double room on weekdays. A supplemental fee applies for weekends and other room categories. 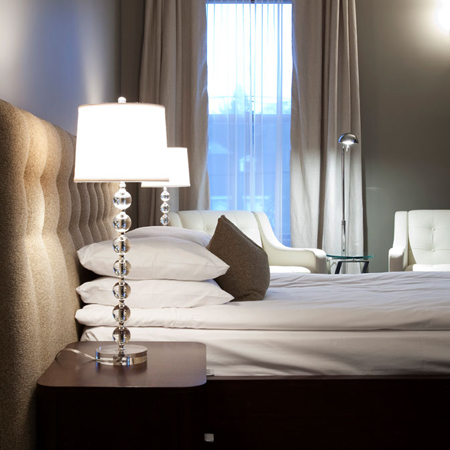 We reserve the right to request two days minimum stays on Saturdays or specific periods. This package includes a Three Pines Tour, by Purple Valise, comprising a “mélange” of locations that have triggered Louise Penney’s imagination and will captivate yours too. Package from 465$ per person. An active getaway in Sutton, including one activity per day, adaptable according to your desires and the weather conditions upon arrival. Multiple activities are proposed: yoga, hiking or snowshoeing, cross-country skiing, road cycling or mountain biking. Our bed & breakfast package offers you all the desired freedom for a stay in the Eastern Township. Our great breakfasts selection will provide you with all the energy required to start your activities of the day. 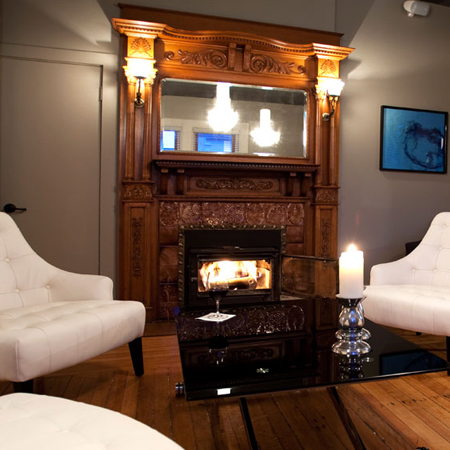 For a corporate retreat including strategic planning, team building or for a focused management meeting involving 10 people or less, Le Pleasant offers an intimate venue with personalized service. 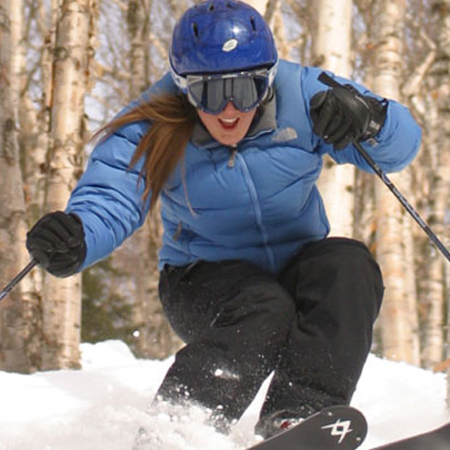 Le Pleasant offers multiple packages to practice your favorite sport on the slopes of Mont-Sutton. This special ski resort will impress you for it’s glades concept, exceptional conditions, ubiquitous nature & authentic atmosphere. Or packages with Kava Tours will guide your discovery of the Brome Missisquoi vineyards with a guided tour from Bromont or with a self-guided tour to 3 carefully selected wineries in the area of Dunham. Enjoy exclusive tours and tastings with winemakers. 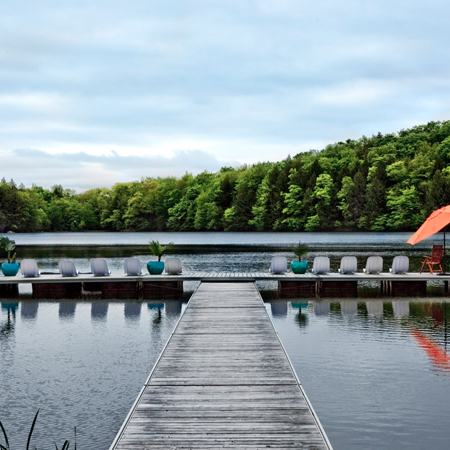 Our BALNE SPA package includes one day access to BALNEA SPA installations including panoramic Finnish saunas, Turkish bath, outdoor hot tubs, heated terraces, cold chute, a lake with endless dock & sweat-lodge. Our package is offered with or without massage.